As it’s now officially October, I’m giving myself permission to mention the ‘C Word’. Christmas is only 12 weeks away, and if you’re anything like me, you’ll be starting to think about cards, gifts and decorations. 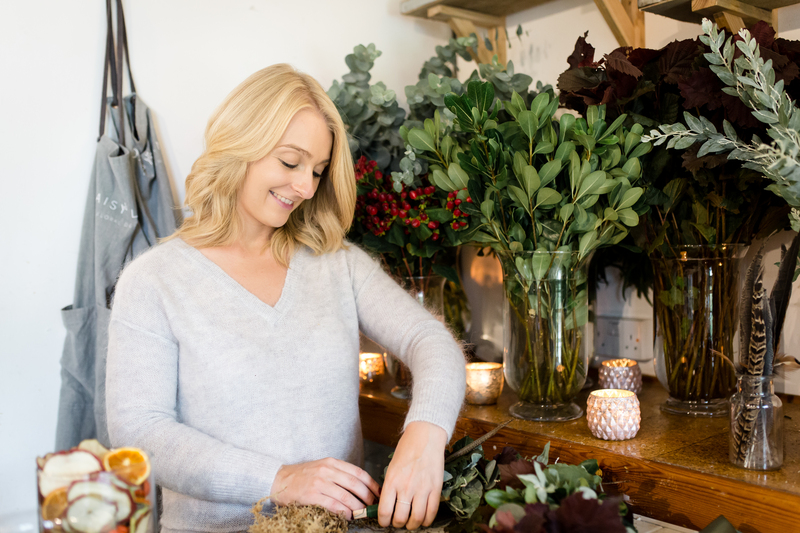 It’s also the perfect time to plan some festive fun for yourself before your diary fills up with parties and gatherings. I may be a little biased, but I believe every home should have a Christmas wreath. There’s something so warm and welcoming about a front door decked out for the festive season. Although it’s easy to pick up something ready-made, you can’t beat the experience of making your own. That’s why I’m hosting a handful of Christmas Wreath Workshops at my studio in Clevedon. 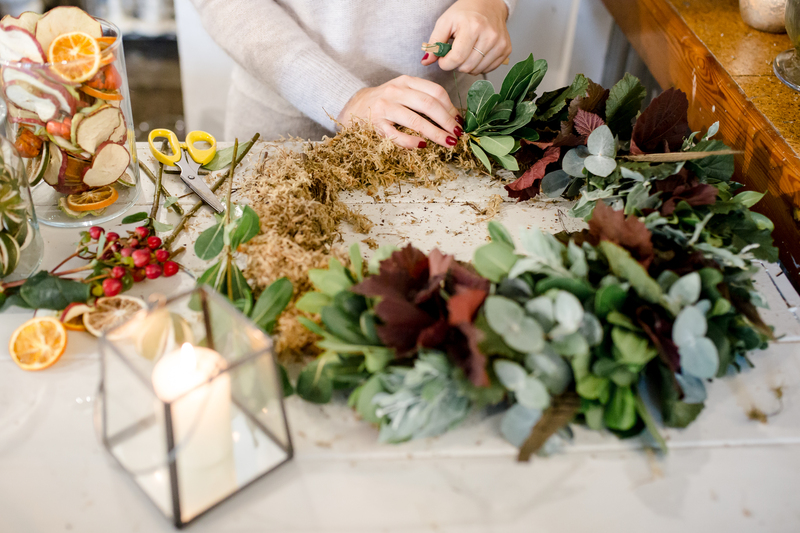 Accompanied by the sound of Christmas songs, you’ll learn how to create your very own festive moss-based wreath filled with seasonal foliage. I’ll provide everything you need and walk you through the process step-by-step. In the busy run-up to December 25th, it’s a chance to carve out and enjoy some quality time with friends or family. 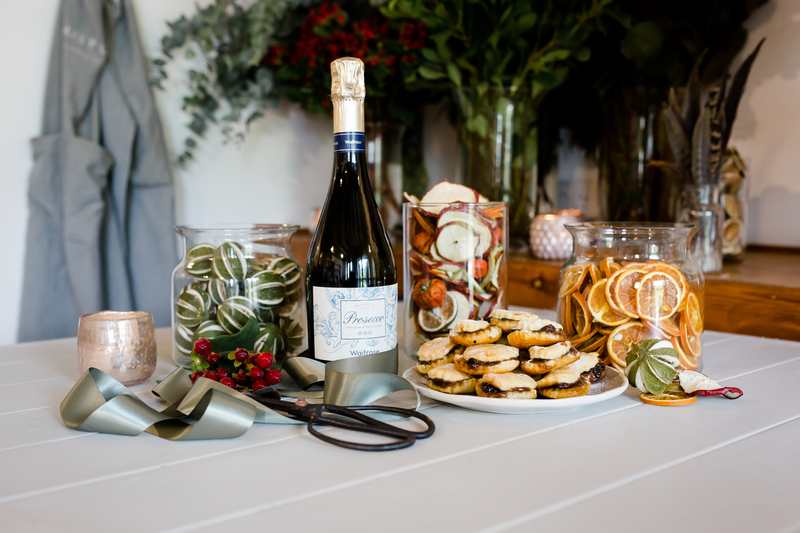 Expect a mountain of mince pies and plenty of fizz to put you in a Christmassy mood! It’s an opportunity to do something creative. 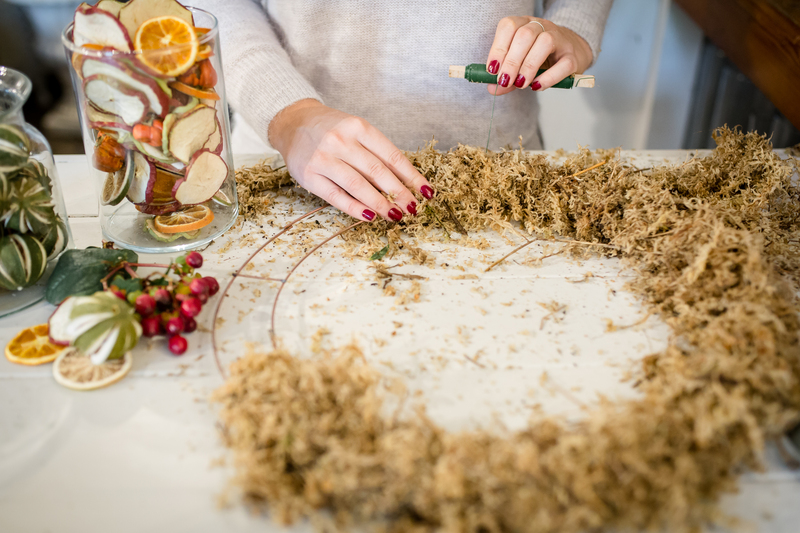 November and December can be busy and stressful, so it’s an ideal time to slow down and make something beautiful with your hands. 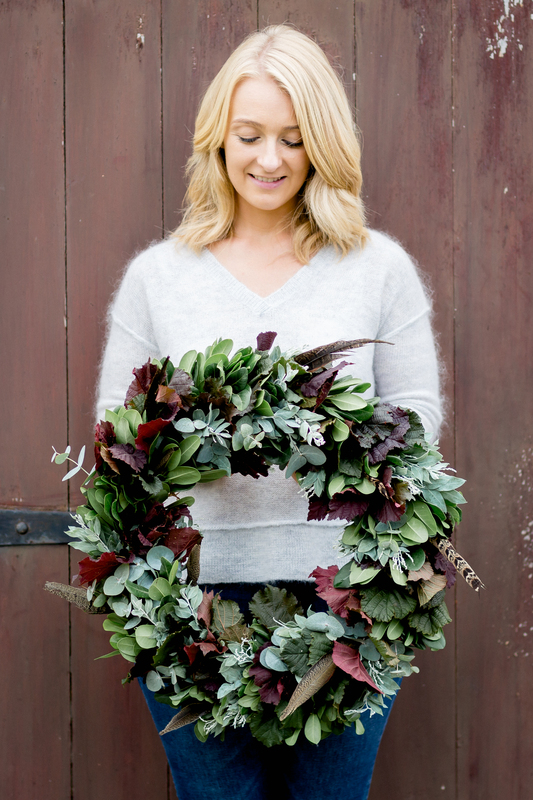 You’ll feel a sense of achievement every time you catch a glimpse of your completed wreath. 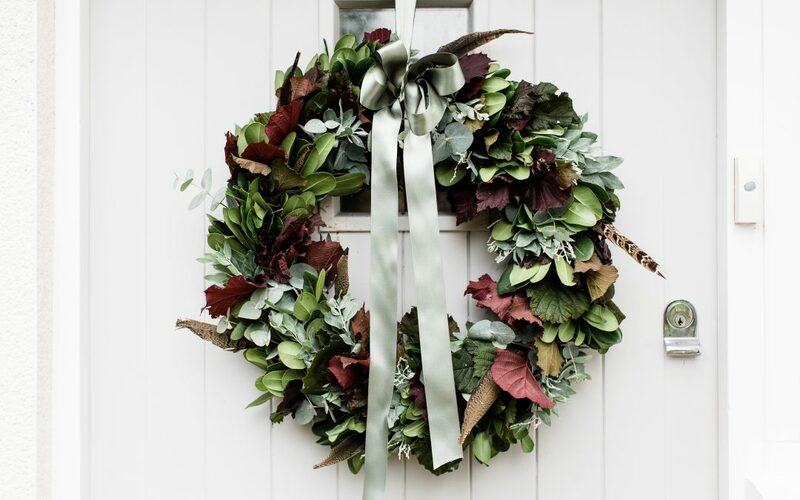 Rather than settling for a shop-bought wreath, you can make something that perfectly matches your front door, festive décor or preferred colour scheme. 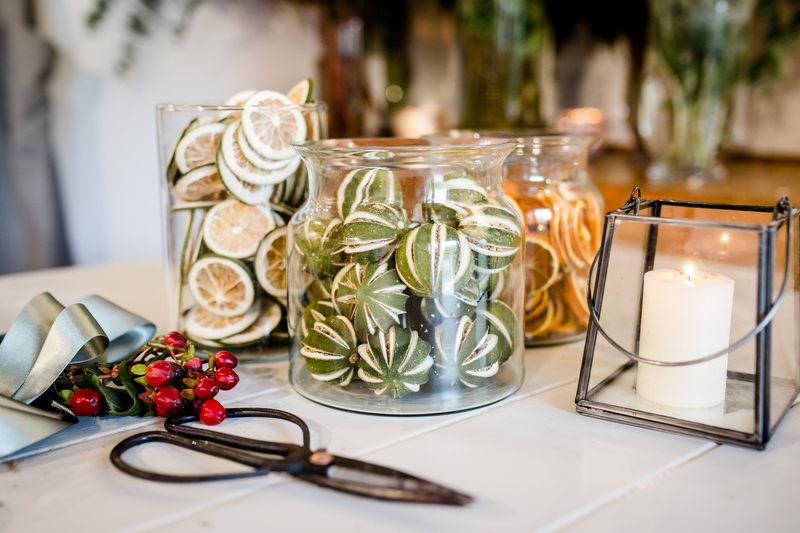 As well as dried fruit, pinecones, berries and pheasant feathers, you can finish your design with a choice of luxury ribbons. Your handmade Christmas wreath will be completely unique, and nobody’s festive front door will look anything like yours.